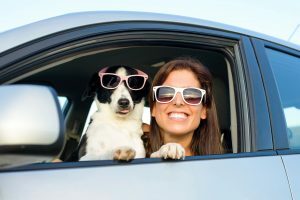 It’s SUMMER and you want to take your dog with you on vacation. Please be smart!! Don’t ever ever leave your dog in a car even if in shade and the windows are down. A car can get hot very fast and many states have laws that windows can be broken if they see a dog in distress!! If it’s 70 outside in 10 min in a car the temp can rise to 89 in 30 min 104!!! So leave your dog home unless you will be with them at all times!! Also be aware dogs can get sunburn and burn their paw pads on hot pavement or hot sand. They can also get heat stroke ! !If it’s too hot for you, it’s too hot for them. Make your summer vacation enjoyable for the entire family!! No one wants to visit the vet or the police station!! !